The Kiwi is a fruit of ovoid shape, of variable size and covered by a thin, brown, slightly hairy skin. It may be 4 to 7.5cm long, and 3.5 to 5cm wide. The weight ranges from 30 to150g, according to variety, climatic conditions, and the culture system. The pulp may be of different green tonalities according to the variety. It is also tender, juicy and bittersweet in flavor. It presents numerous small, edible black seeds. The color of the pulp and the delicate flavor, somehow reminiscent of the grape, strawberry, and pineapple, make Kiwifruit very pleasant. Kiwi is consumed as fresh fruit, in fruit salads, salads or as garnish for different dishes. In order to consume it as fruit, it can be peeled or cut in half and eaten with a spoon. It contains an enzyme called actinidine that degrades proteins, reason why this fruit is used to soften the meat before cooking and thus reduce to the time for baking, rubbing the pulp of the fruit. Moreover, the actinidine prevents the coagulation of the jelly and it is the responsible of the bitter taste of some dairy products when they are mixed with Kiwi. 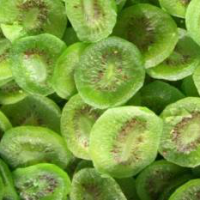 Kiwis are also cooked, tossed with butter, used as a bittersweet sauce or included as garnish for meat dishes. Jam, sherbets, iced drinks, confectionery products and liquors with or without alcohol are also made of this fruit. Kiwis represent an excellent source of vitamin C, almost twice the content of some citruses. They are also rich in minerals like potassium, iron and calcium. Kiwis are found all the year round because the different producing country take over the harvesting periods of each other: from mid May until the end of November, in New Zealand; the rest of the year in the Mediterranean countries, Chile and in California and Australia too. It is a product that has undergone a commercial development in the last few years, thanks to an excellent marketing campaign carried out by New Zealand. Our Kiwi are sourced from growers in Chile, New Zealand, Greece, Italy and Japan. 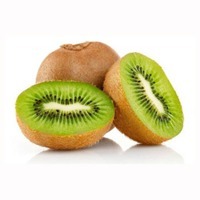 Kiwi : The world's largest consumption of the first 26 kinds of fruit, kiwi is the most comprehensive. The content of Vc, Mg and trace elements in kiwifruit fruit was the highest. Among the top three low-sodium and high-potassium fruits, kiwi is at the top of the list because it contains more potassium than bananas and citrus. 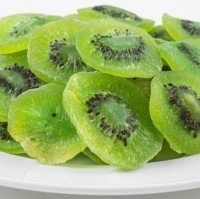 At the same time, the content of Ve and Vk in kiwifruit was determined to be excellent, low in fat and no cholesterol. 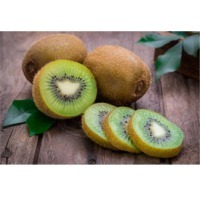 According to the analysis, kiwi fruit vitamin content per 100 grams of fresh samples in general 100-200 mg, high up to 400 mg, about 5-10 times the citrus; sugar 8-14%, acid 1.4-2- 0%, but also with tyrosine and other amino acids 12 species. kiwi fruit contains a wide range of nutrients, most of the fruit is rich in one or two nutrients, but each kiwi can provide 8% DV folic acid, 8% DV copper, 8% pantothenic acid, 6% Fresh, 4% DV iron and vitamin B6, 2% DV phosphorus and Va as well as other vitamins and minerals. Kiwi in addition to kiwi alkali, proteolytic enzymes, tannin pectin and sugar and other organic matter, as well as calcium, potassium, selenium, zinc, germanium and other trace elements and the human body needs 17 kinds of amino acids, but also rich in vitamins, , Fructose, citric acid, malic acid, fat. A kiwi can provide a day more than twice the demand for vitamin C, known as the "king of fruit." Kiwi also contains good soluble dietary fiber, as the fruit of the most eye-catching place is contained in its superior antioxidant properties of plant chemical substances sod, according to the US Department of Agriculture research report, kiwi comprehensive antioxidant index in the Fruits among the top, second only to the thorns, blueberries and other small fruit, far stronger than apples, pears, watermelon, citrus and other daily fruits. And blueberries belong to the second generation of fruit is quite representative. 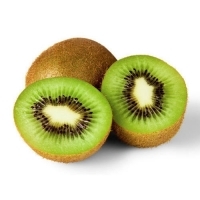 Compared with sweet orange and lemon, kiwi fruit contains vitamin C ingredients are two times the first two fruits, so often used to fight against scurvy. Not only that, kiwi can stabilize mood, lower cholesterol, help digestion, prevent constipation, as well as thirst and diuretic and protect the role of the heart. Moisture: 18% max. SO2: 100ppm or 300ppm max. Packing:10kg cartons. Quantity per Cotainer: 1100ctns/20" or 2300ctns/40"
Short on time? Let kiwi sellers contact you. Made from 100% Organic Kiwis grown in the hilly area of Eastern India, this wine delivers an exotic taste as never witnessed before. Due to 100% Organic in nature, it is very good for health. 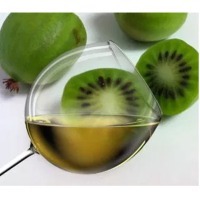 Tierra Overseas is supplier and exporter of Organic Kiwi Wines in India. Kiwi has several health benefits as it has a high percentage of anti-oxidants and Vitamin C. Benefits from Kiwi : High source of vitamin C. Good source of dietary fibre. Good source of folate. Power house of vitamins and minerals. Gives glow to skin. Based in Pune & Bangalore(India), we have gained wide appreciation owing to our high quality products and client-centric approach. We give maximum importance to the quality of the products that we offer and thus conduct diverse quality tests. 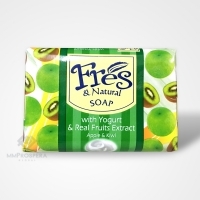 Dear Valued Buyer, We are one of the leading exporters of Fresh lemon and Kiwi fruits . Our products has great quality, and we distribute at competitive world market prices. If you are sourcing for this product, kindly revert back to us with an e-mail so that our sales department can get back to you with product details, prices, packaging,available quantity,delivery time and payment terms. We look forward establishing a long term business relationship with your esteemed company / organization. 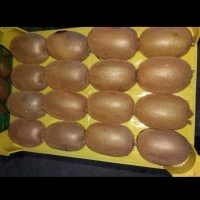 We are great Agro Comododity goods traders in South Africa and we deal most in the fruit market we have availabel huge stock for kiwi fruits fresh avocadoes fresh green bananas and other fresh fruits like oranges apples grapes pine apples. Dried vegetables such as garlic flakes, garlic granule, garlic powder, red bell pepper flake, green bell pepper flake, tomato flake, carrot granule, carrot flake, onion slice, onion powder, dried fruits such as dried mandarin orange, dried strawberry, dried apple slice, apple ring, apple dice, dried peach, dried kiwi, dried mango. The skin is green, the pulp will be jadite color, when you see the intersection surface, the red color is like radial pattern, just like a rising Sun, it is a very rare species. The planting Altitude is from 500---1000m.The fructescence is 15th August to 10th September. The average weight of single fruit is 82.7g, Soluble Solid State material is 19.6%---25.6%, Total Sugar is 13.54%, Total Acid is 0.49%, VC content is 135.77mg in 100g fruit pulp. The flavour is excellent. Chinese name is HOT16A and also named Golden Kiwi, which is introduced from New Zealand by Agricultural Bureau of Shaan Xi province. 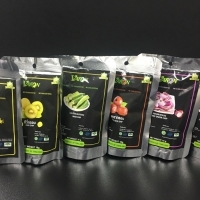 The fruit is turbination, the average weight of single fruit is 80--140g, golden color fruit pulp, VC content is 120---150mg/100g, Soluble Solid State material is 15%---17%, The flavour is full of aroma. Be matured in the middle of October. The full bearing period will be in 4 or 5 years when the tree is growing, the output is about 2000kgs per 667m2.